Switch Poker is one of the few mobile poker rooms that accepts Bitcoin. 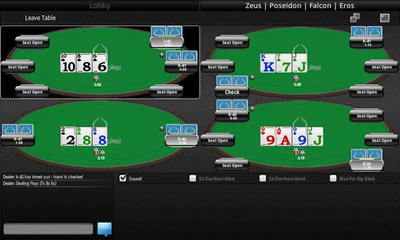 Their no-frills browser-based client features Texas Hold'em practice and cash tables for any Windows Phone, Android or Apple iOS device. Real-money and practice tables available on iPhone, iPad, Samsung, Microsoft Lumia, HTC, Nokia etc. Fund your player account anonymously with Bitcoin. Start playing instantly without the hassle of downloads. Switch do NOT accept USA based real money players. Whilst many of you many never have heard of Switch Poker, they are actually one of the most influential poker companies ever. A bold statement for a relatively unknown company to most, but Switch were actually one of the first companies to promote a plausible mobile poker solution for their customers. It was brought in at a time where many poker companies had toyed with the concept, but had ultimately failed. Switch had succeeded on a budget much smaller than most of their rivals and to this day still offer a viable solution to Android, iOS and Windows Phone poker players. This review will see how well the app stacks up in comparison within this now competitive marketplace. One thing that Switch Poker has always been an advocate of is their simplicity. 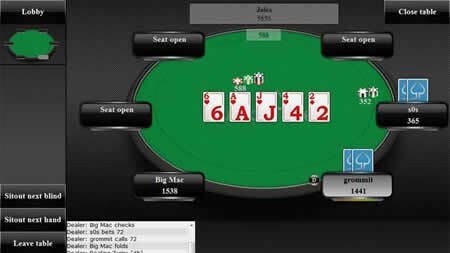 They set out to make a mobile poker app that just functioned well on what was at the time a limited amount of resources. Since the initial design iOS/Android devices have become much more advanced so what you will see may a be a bit limiting given the technology that is now on offer. You literally land straight into the lobby when you open the app up. Here you’ll be able to see the games that are taking place and how many players are currently playing. You can flick between real money and play money games, although the play money options rarely see much action. If you can jump in a game then we’d recommend doing so first before playing for real money, if only to get a feel of how everything works. The lobby will also show you the cashier option where you can deposit and withdraw funds direct from your phone or tablet. Alternatively, you can access your account from your computer as well and use the cashier on there, which we found to be much more accessible. The games will range from 1c/2c up to €10/€20 which offers a good range. One thing that we will say is that games above the micros are rarely running due to lack of players. However, the heads up tables which run along the 6 max games often get sporadic action. The standard of players on the whole are pretty poor. The types of players you generally expect to see at Switch are beginners, hence the majority of players being at the micro level. If you do manage to see games start to fill at higher levels then you would possibly normally play at, even a competent poker player will likely be above the average standard of these games. The actual tables are pretty good looking, although they lack many features. As standard you will get a four-coloured deck, which is a nice addition, and the table looks very similar to that of an earlier version of PokerStars’ edition. The speed of the games is good and actually, we found playing to be an absolute pleasure, even with the ‘no frills’ feel. 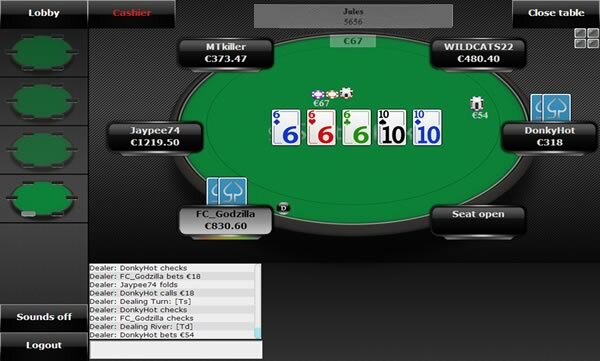 The best feature that the app has is the ability to multi table. You can select up to four tables at any one time to play on and the side bar makes this much more manageable than you might think. 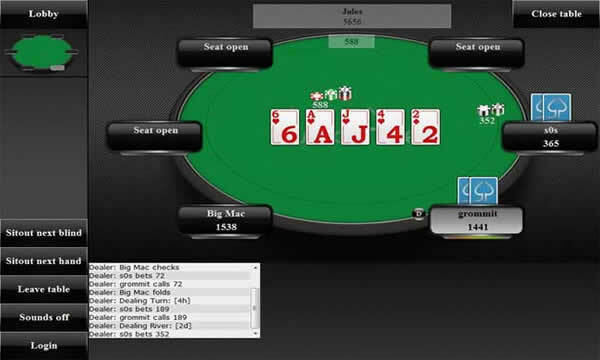 The limited screen real-estate of some mobile devices makes this a little tough on the eye, but once you get into the flow of how the games react when it's your go, you’ll likely be loving this little feature from Switch Poker. Accessing the app from an iPhone, Microsoft Lumia or Samsung Galaxy device is actually a pretty simple process, but it does require a few steps. First thing to note is that wont find the app via the Apple App Store or Android Google Play as they ban all real money gambling games. If you are using an Android device, you need to first go into your Application Settings on your device and allow unknown sources. Don’t worry, this is completely safe and you can turn it straight back after this process if you wish. Next you need to visit the Switch Poker website and click on the Download Now button. It will prompt you start installing and once its done you simply click Open and you will e able to access the app. The app will be accessible from the home screen of your Android device so you can access it quickly for future reference. Users of iOS devices simply play from the Safari browser of their iPhone/iPad. The bonus is available in two parts and can be obtained by any player using the Switch Poker app. The first is a free €5 when you register for anew account and verify your phone number. Once you’ve done this they will credit your account with €5 for you to start playing immediately. We should point out that only 1c/2c tables will be accessible until you make your first deposit. The second is a deposit bonus and this is worth up to €600. It’s a 100% match on your opening deposit of between €20 and €600. You need to work through your bonus earning SPPs whilst you play to clear it. For every 2,500 SPPs that you earn, €10 of your bonus will be credited to your account. You get a very generous 6 months to clear your bonus in its entirety but any bonus that has not been cleared after this time frame will become void. The bonus will also become void if you make a withdrawal before the bonus has been cleared. 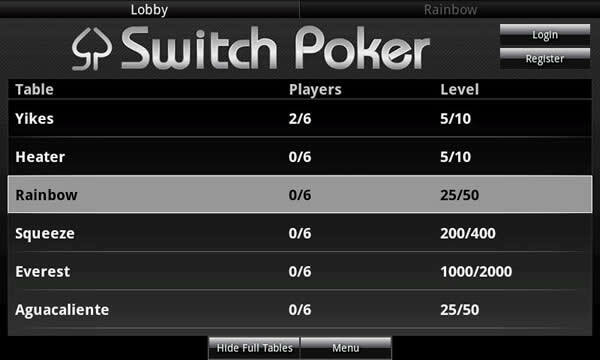 The Switch Poker app is probably one of the most accessible that we have come across for iPhone, iPad, Android and Windows Phone users. You can literally play it on any version of iOS or Android. The tables look great and they function really well, but the lack of players will definitely be an issue, especially in off-peak times.